Outdoor fire place buying guide – Enjoy your outdoor area all year long, especially during the winter months, with the help of an outdoor fire place or chiminea. Here at Outdoor Living Direct we sell a wide range of fire places available in a variety of colours, sizes and styles. Our extensive range of fire places are both strong and hard wearing as well as being beautiful and stylish. They will seamlessly fit into any existing outdoor space and create beautiful warmth and lasting memories with loved ones. The Sanga XL fire place is available in two different colours, black and corten. Measuring a height of 150cm the Sanga XL is a large fire place sure to keep you and yours warm all night long. The Sanga XL is made of durable, low maintenance steel with a heat resistant coating. Corten steel is also known as ‘weathering steel’ hence the brown-rust colouring. The Sanga XL also features a practical storage compartment for logs as well as a stylish, rectangular design. This particular design ensures good oxygen supply as well as looking visually pleasing. Ideal for any outdoor or garden area the Sanga XL can be enjoyed all year long and will be the central point for making long lasting, family memories. Similar to the Sanga XL, the Vilos has the same rectangular, tapered design. It’s also available in the two colours, black and corten depending on the look you want to achieve. Measuring a height of 122cm the Vilos is a good sized fire place that has been built with style and practicality top of mind and also comes complete with the handy log compartment for easy wood access and storage. Unlike the Sanga XL and the Vilos with their rectangular design, the Rengo XL has beautifully rounded corners for a softer, yet durable look. Available in corten, with a 1.6mm steel outer layer and measuring 145cm the Rengo XL has been built to last. Similar to the Sanga XL and the Vilos, the Rengo XL also comes complete with the practical log compartment and will be a trusty fire place that will certainly provide hours of warmth and enjoyment all year long. 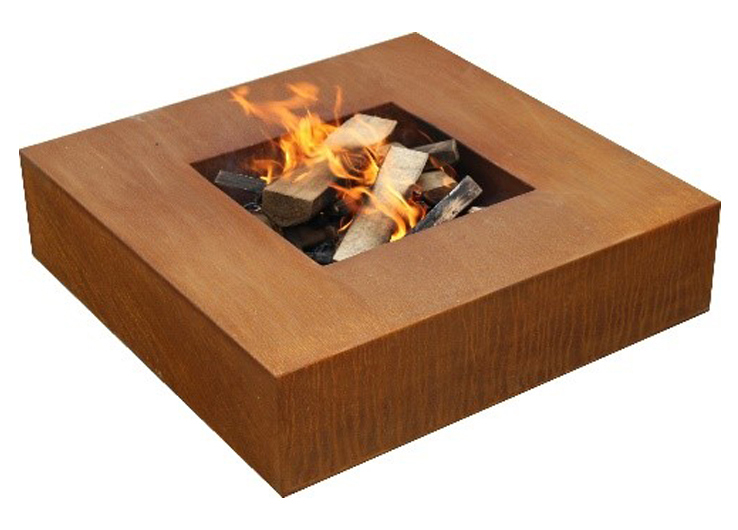 Measuring 80cm wide the round and square fire pits are suitable for both large and small gardens. 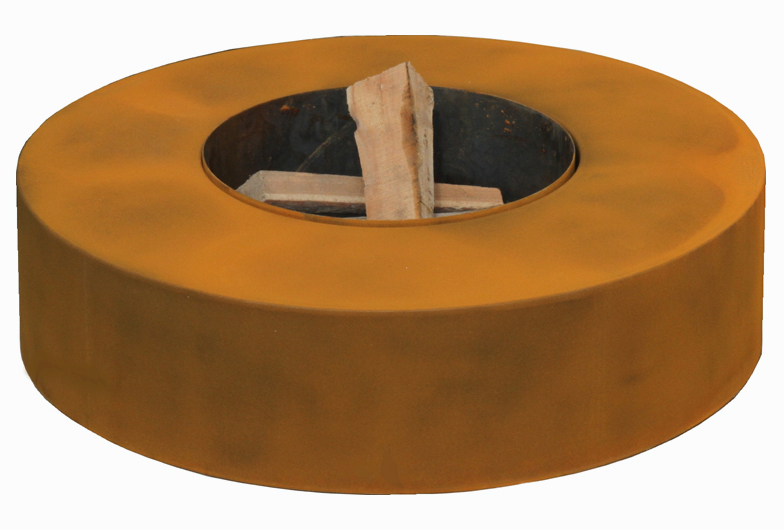 Constructed using 1.6mm corten steel, these fire pits are not only robust they are contemporary and sleek in design and provide the perfect camp fire spot. Shop our range of fire places in store and online today. We have two Melbourne showrooms, open 7 days – 337 Warrigal Road Cheltenham and Shop 4, 283 Old Geelong Road Hoppers Crossing.